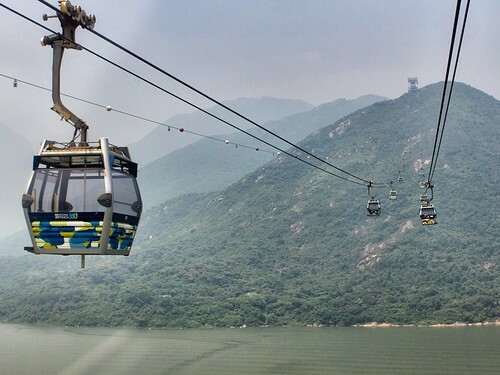 Ngong Ping 360 Cable Car has been in operations for many years and it is considered one of Hong Kong's key attractions to both local as well as foreign visitors. True that there were certain incidents over the past few years which affected their reputation but the way I see it, incidents happen in all sort of transportation including air flight or even cruise but it doesn't mean one would stop using them right? 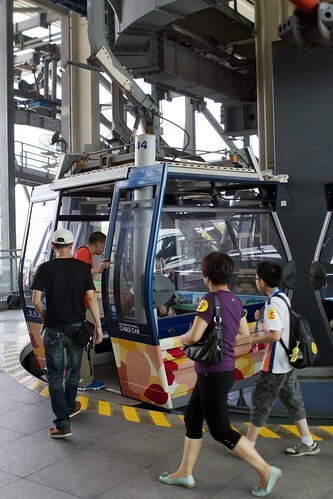 You are entitled to your own opinion but for me, I have been looking forward to such a cable car ride for what it is especially when the only other cable car ride in Hong Kong is the one at the Ocean Park. 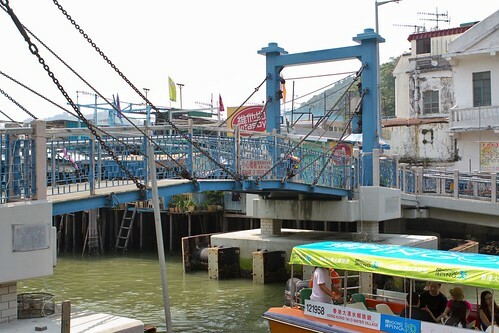 I have to admit, one of the reasons I was so looking forward to it was because I like to find out what sort of experience to expect from such huge investment in constructing this attractions just for the purpose of visiting the Ngong Ping Village, Giant Buddha and en route to Tai O Village? My day started with a cable car ride from the Ngong Ping 360 Station in Tung Chung. The queue was longer than expected so get their early! To shorten your wait, get the crystal car cabin! For a small price difference, I would definitely pick the crystal cabin with a transparent floor which passengers can look down at bird's eyes view! The ride took us about 25 mins and on a day with temperature around 33C, the cabin was quite cool without air conditioning, perhaps because of the height and proper ventilation. A suggestion is to pick a non-foggy day to visit because otherwise quite difficult to take a clear picture of the landscape during the ride. One thing I don't like was even for the higher priced crystal cabin, you still have to sit with plenty of strangers, max 8 per crystal cabins. Of course it depends on your luck whether visitors picked the crystal cabin option. 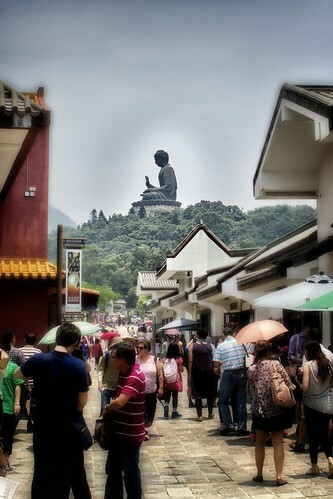 The Ngong Ping Village isn't huge but there are quite a number of food outlets, ranging from Chinese to Pizza. 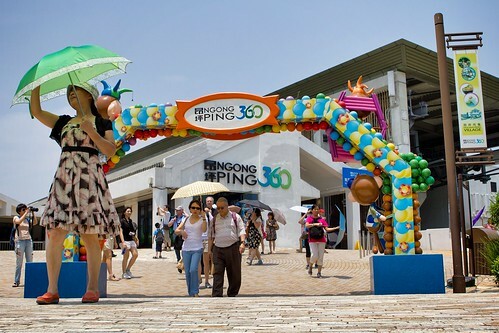 I think traveling to Ngong Ping Village via the Ngong Ping 360 wasn't really for the food but for the experience. 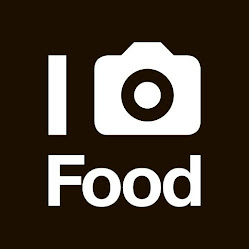 Treat the trip as an outing, an opportunity to take a day off, to enjoy the sunshine and walk off the excess fat (if any). 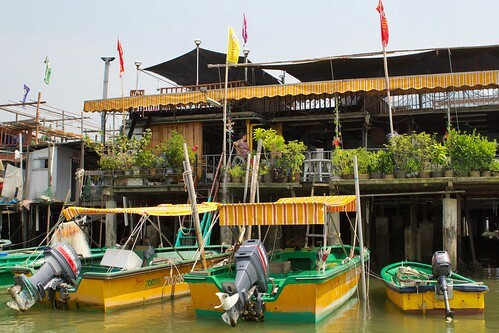 Of course it can be a pit stop on your way to Tai O Fishing Village. 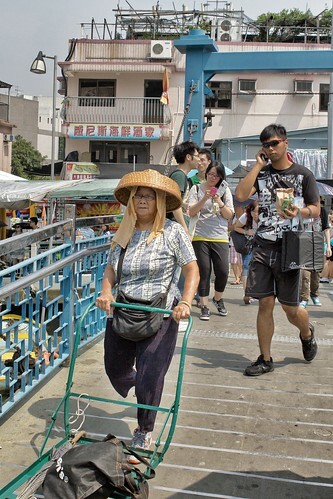 Walking down the main street of Ngong Ping Village, you will see the Giant Buddha sitting peacefully on top of the mountain, one can access it from the Ngong Ping Village if you choose to climb all the stairs to reach it of course. 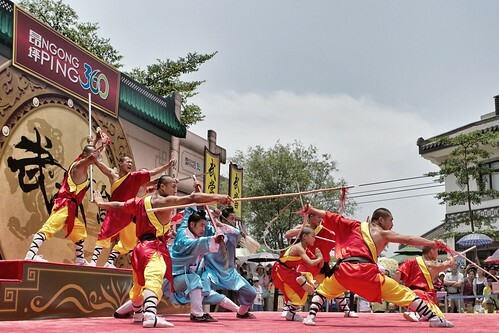 On the day of my visit, the Village hosted a special performance by the Shaolin & Wu Dang Kung Fu masters from China. 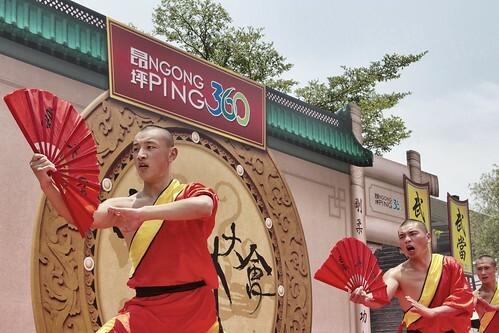 It actually fitted the theme and atmosphere with the Giant Buddha at the back and traditionally styled structures along the main Village street. 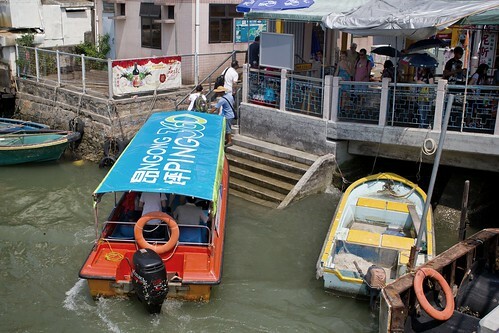 The Ngong Pin 360 actually offers certain packages which include a shuttle service to Tai O Fishing Village from the Ngong Ping Village and include a boat ride around the village as well as dolphin sighting. 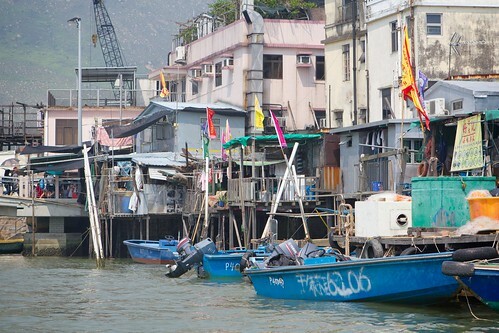 We took the 15mins shuttle from Ngong Ping Village to the Tai O Fish Village. 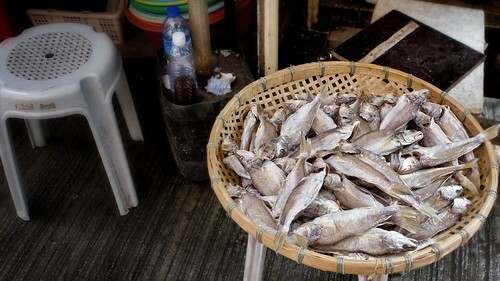 The first thing I saw was the local famous salty fish all around the side streets. 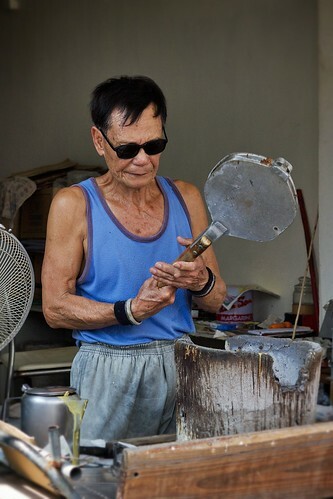 That was the first sighting, the first smell was the rich aroma of shrimp paste! 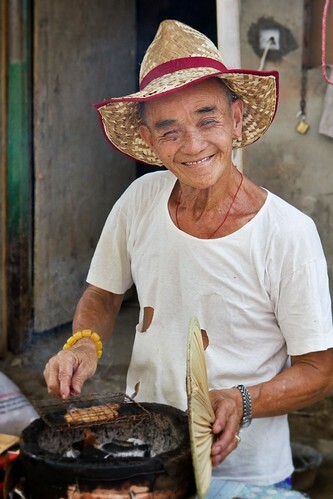 I can't help but to take a few deep breath because I was in love of the aroma! 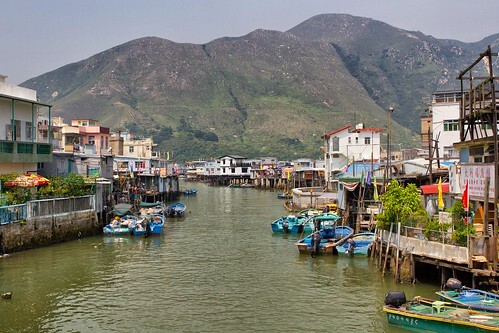 Tai O Fish Village is also known as Venice in Hong Kong because of the type of sea side settlement as well as how boats are the main mode of transportation. 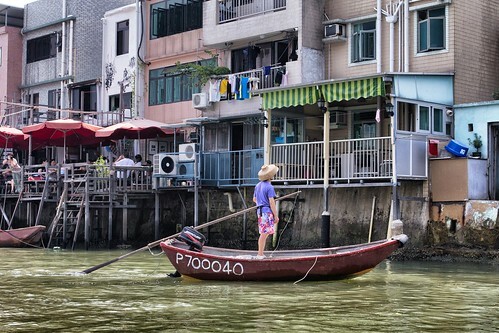 The different parts of the village were connected by bridges but it is much easier to transport by boats. 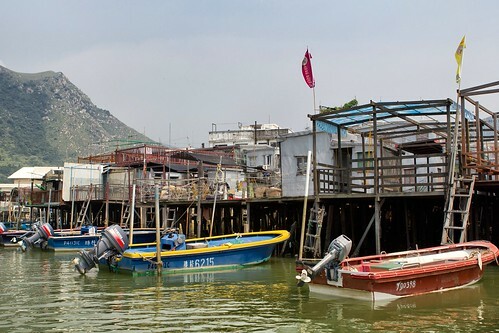 Most houses here are stilt houses constructed above the tidal flats because residents in this community for generations do not feel safe on land and much easier access to the sea for their liveihood. Cable car is amazing! I got easily scared by the height. I've read a lot about this at Buyessay.org review, but still how did you conquer the fright?